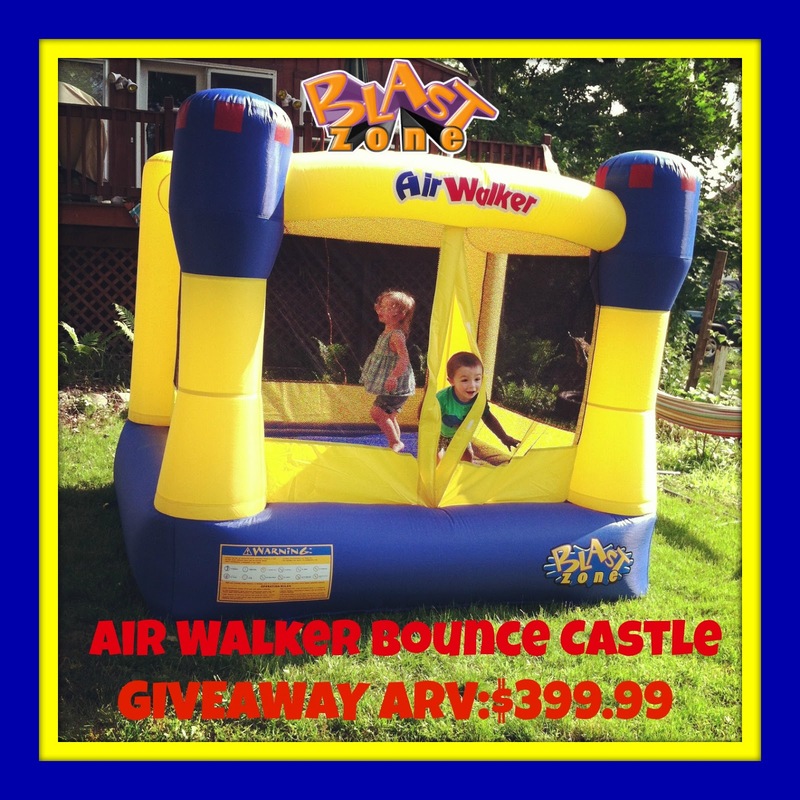 Huge Giveaway – Win a Blast Zone Air Walker Bounce Castle! I am really happy today because I participate in a Huge Giveaway with a great gift! an amazing “castle” for your kids and not only…. Summer is in full swing, and many families are looking for fun activities for their families. One thing kids seem to really love are inflatable bounce houses, often seen at carnivals and festivals. These provide hours of active fun, and seem to be one of the main attractions wherever they’re located. Many people rent these for birthday parties, but did you know that the folks at Blast Zone make it possible to own these awesome play houses and bring the fun to your own backyard? It’s true! This amazing company has so much to choose from, including bounce houses of many sizes, inflatable water parks, and so much more. They even offer a variety of products for smaller spaces. Aren’t you excited? Well I am, because I do know that my princess loves playing with air walker…and it will be better if that is a castle.. my princess will love it! It is a unique, well crafted and safe game a great gift for your kids. They will definitely love it! This giveaway is open to US residents 18+ until 11:59PM July 19, 2013. No POBoxes. Ef Zin Creations is not responsible for prize fulfillment. Winners will be drawn using Rafflecopter’s Random Number Generator. All entries will be verified, so play fair! The winner will be notified via e-mail and they will have 48 hours to reply. No purchase necessary. Void where prohibited. Thanks for entering, and Good Luck!!!!! Id love to have one of the water bouncers, maybe pirates bay or the great white shark water slide. Forget kids! I want this for me!